This article by professional photographer Erinna Ford is for everyone who’s trying to buy more camera gear but would still like to avoid bankruptcy. I have one more tip to add to this list – if you can get your hands on some vintage camera lenses, you may be able to use them with an adapter. Vintage lenses are sturdy and produce excellent images – and you can find them for a fraction of the cost. Keep an eye on yard sales, second hand stores and eBay. This option is great for when you are considering professional level gear, or something for a special technical application. You have the opportunity to rent the gear for a day, weekend, or a week, which is a great way to try before you buy. It is not only a good option for researching a new purchase, but you can hire specialist equipment needed for one-off jobs (like a macro or tilt-shift lens for example), without the cost of purchasing it outright, and with the added advantage of claiming the hire expense as a business expense. I always advocate working with your current gear until you start to feel its limitations. This way you will have a clearer idea of what specifications or items will help you grow further as a photographer. If you feel that you’ve reached these limits, but are still confused about which piece of equipment you should buy as your first priority, try taking a few notes during your next shoot. Where do you get stuck? What frustrates you? What would make your photography life easier? What will you be photographing? And what is your next goal? Asking yourself these questions will help refine exactly what you need from your next purchase. You could choose to spend a bit more now on one item that will fulfil your needs for the long term, or spend less on an entry-level option to build up your experience. Sometimes however what you really want is simply too expensive, so you can choose to wait for the next big sale or look at alternatives, and that’s perfectly okay too. Another option would be to buy the absolute necessities now, while saving for the next items. If you discover you need it sooner, and have not saved enough yet, you can choose to rent gear as needed. There are so many opinions and reviews posted online that it is easier than ever to do your research. Read personal opinions, website reviews, as well as manufacturers’ specifications, to give you a well rounded opinion and compare them to what you are looking at purchasing. YouTube is a great resource for tutorials, reviews, and box openings. Flickr is also be a good place to find images that have been tagged as being shot with a specific lens or camera – it is a great way to see real-life results. If you’re trying out new lenses or a flash, take your camera into the store with a fresh battery and memory card, attach the lens/flash and take a few photos. Test it out in store, see how it works, then go home and review the images. 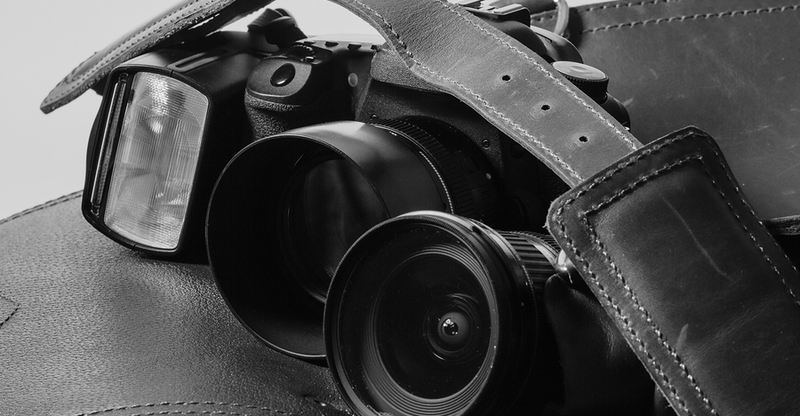 If you’re looking at a new camera body, take your favourite lens and a memory card and do the same. All gear has an adjustment period for becoming familiar with settings and button locations, so this will give you a head start, and an idea of the weight and shape of the item, something you can’t experience by online shopping. If you cannot afford your preferred brand or wish-list item, try searching for a less expensive option. This could mean waiting for a camera sale, purchasing second-hand, a lesser-known brand, or even an alternative method to achieve the same result. These options can be a great way to expand the gear in your camera bag and try new techniques, without spending quite as much money. For example, we all agree that an f/1.2 lens is drool-worthy, but would the f/1.4 version do almost as good a job? Or instead of purchasing a special macro lens, would close-up filters work instead? Generic, or lesser known brands, are another less expensive option, although they may not have the same quality or life expectancy as the branded versions.